Love, Christin | A Lifestyle Momprenuer Blog: Last Years Valentines Day Crafts! I made these last year and I absolutely STILL love them! I am now trying to find something else to do for Josiah's class and I just can't find anything that tops this! I have been searching for the past two weeks. I'm pretty much to the point where I'm about to use traditional ones from Walmart!!! 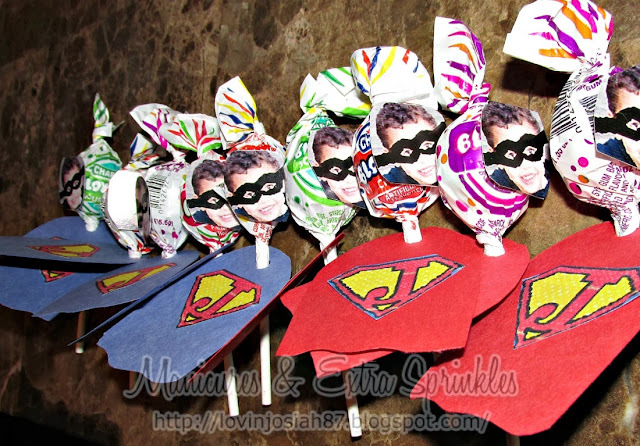 HAHA You can read how to make these awesome DIY Superhero Valentine's HERE. No but seriously, I was close but I will post shortly what we're doing this year, It's obviously not as cool but I love it and I think his classmates will think it's pretty funny too. When talking about crafts, Josiah wants no part in it. I am going to have to force (or bribe him) to do some this year. I had a few friends come over last year with their kids and they actually had a blast. They are easy and fun for kids any age really. All you have to do is trace out hearts and let your kid cut them out with kid friendly scissors. Or you can do what I did is cut A LOT out and let the kids have fun gluing them on!! You can read the full post here. All you'll need are toilet paper rolls, Tape, Construction paper & Paint. You can see the whole post here.